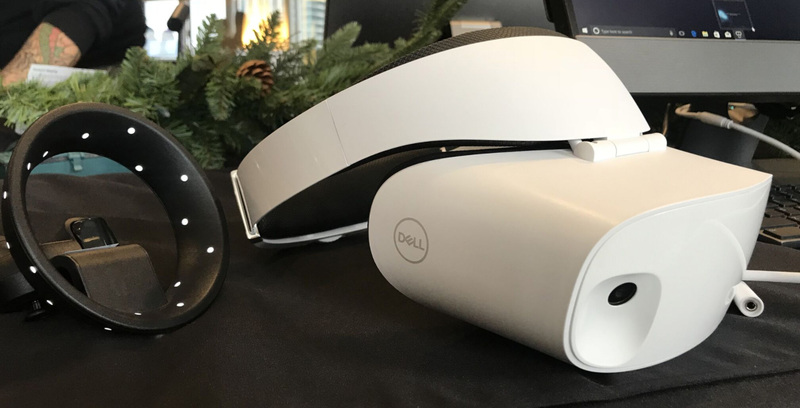 Dell has launched several new hardware products and refreshes just in time for the back-to-school season, including its first ever headset for Microsoft’s Windows Mixed Reality platform. 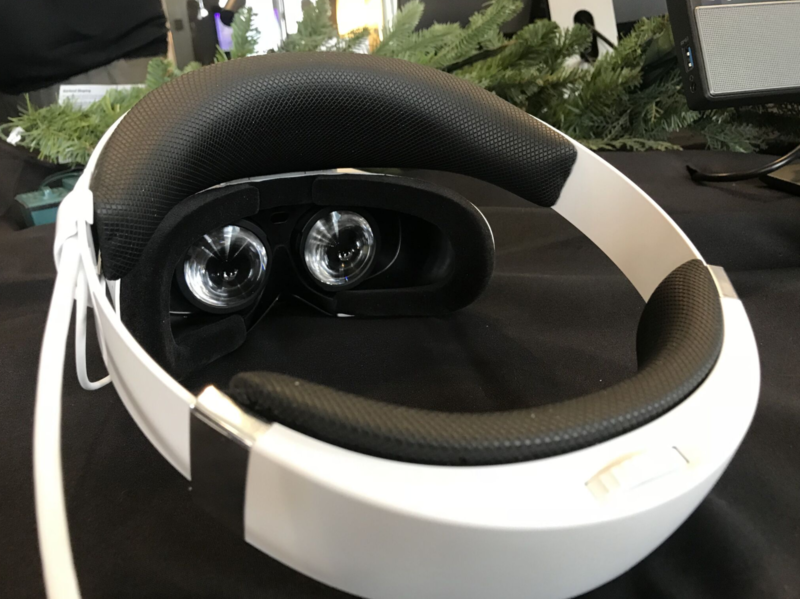 The device, the Dell Visor, debuts following the release of the developer editions of the HP Windows Mixed Reality headset and the Acer Windows Mixed Reality headset. The Visor is so-named because it has a flip-up visor for ease of transitioning between reality and so-called ‘mixed reality,’ a term that Microsoft uses to cover everything that lies on the spectrum between augmented and virtual reality — though it seems demos for the headset have leaned more towards traditional VR. The white-finish headset features head and face padding, thumbwheel band adjustment and ‘smart weight balancing’ that purportedly takes pressure off the nose and cheeks. Dell also notes its cable management system as evidence of the headset’s thoughtful design; all cords are routed to the back of the headset to help with mobility. The Visor uses the same technology used in Microsoft’s Hololens headset, which includes inside-out tracking cameras with a 360-degree panoramic views, which means it can scan its surroundings in order to orient the user within their location — an alternative to systems like the HTC Vive, which need satellite emitters positioned inside the play space. 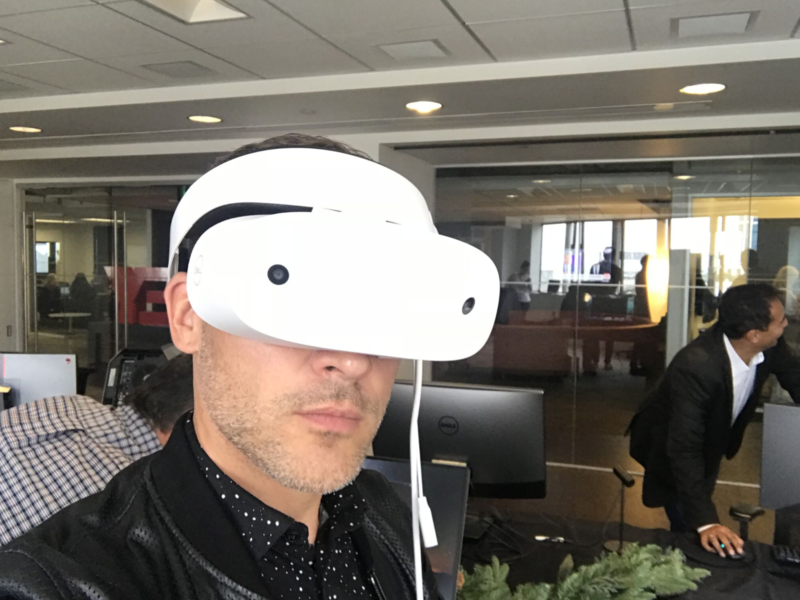 Dell further notes that it’s building toward platform agnostic communication, and that users may be able to interact with owners of different MR headset brands down the road. 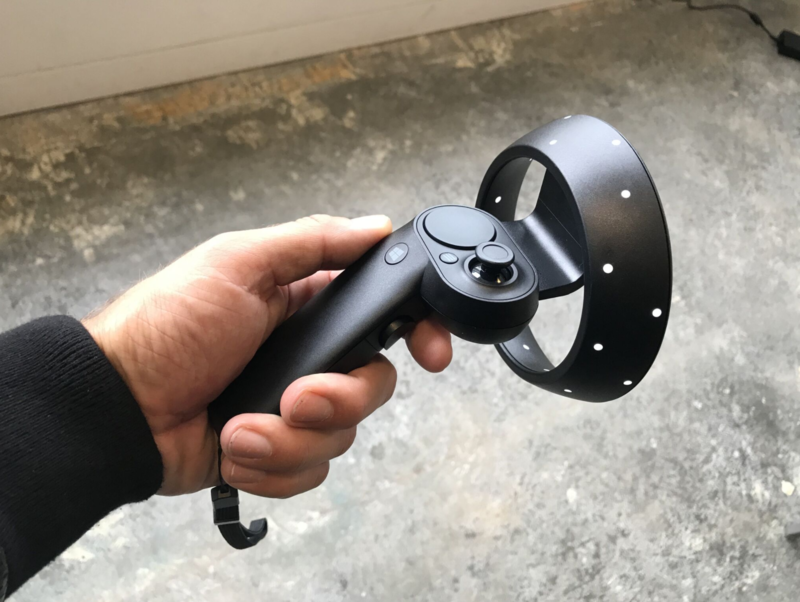 Meanwhile, the accompanying Dell Visor Controllers offer 6 degrees of freedom in a three-dimensional space, featuring haptic feedback, a thumb stick and buttons fully tracked by sensors in the headset. Though the headset will be available in the U.S. in coming months for $449.99 USD as a package deal (about $560 CAD) or $349.99 (about $430 CAD) and $99.99 ($125 CAD) for the headset and controllers respectively, Canadian availability is yet to come. Those interested in the device can tune into Microsoft’s IFA keynote on September 1st for additional launch details. One thing to look forward to is Steam VR compatibility for Windows Mixed Reality headsets, which was recently announced. Additionally, the company has refreshed its 13.3-inch XPS 13 2-in-1 with the latest 8th generation Intel Core i7 processors, featuring four cores versus the previous two. The 8th gen Intel core i7 XPS 13 will be available in the U.S. starting September 12th for $1,399.99 USD (about $1,750 CAD), while Canadian availability is yet to come. 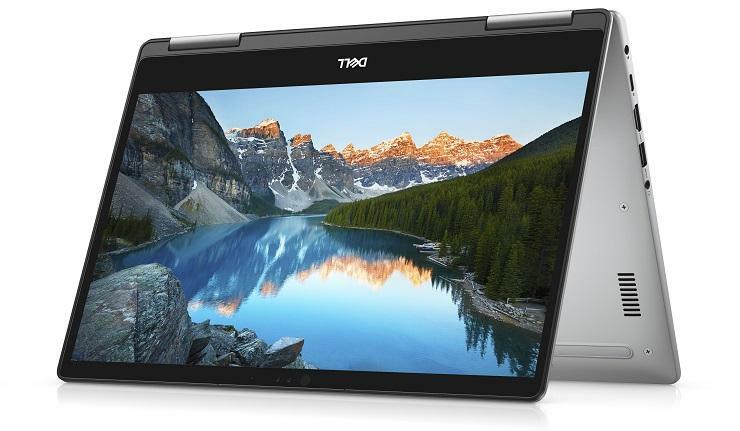 Dell also updated the Inspiron 13 and 15 5000 2-in-1s along with the 13, 15 and 17-inch Inspiron 7000 2-in-1s to include 8th Generation Intel Core processors and DDR4 memory. As with Dell’s other announcements, the Canadian availability, launch timing and price have yet to be confirmed. Photography by Tom Emrich, author of The Wearable Weekly.